Paltalk is an instant messaging tool that you can use to communicate with your friends, regardless of the distance that separates you. 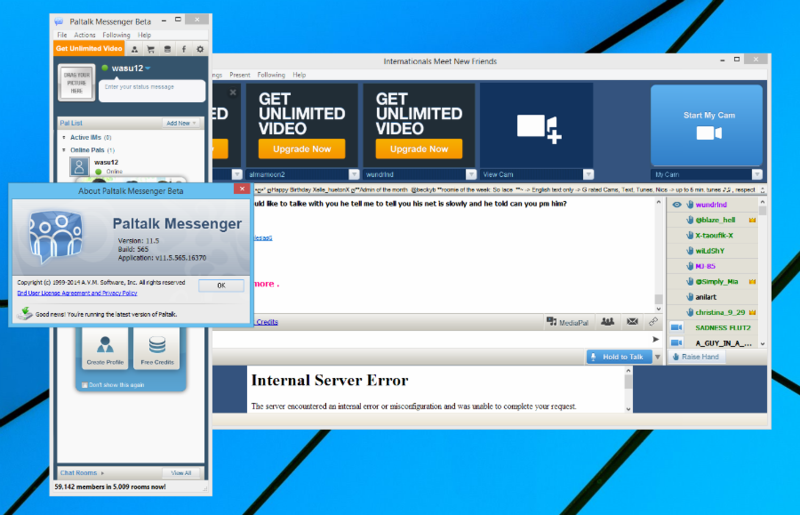 Among its host of features is instant messaging and chat room conversations, for which you can choose your font style and colors, and emoticons. 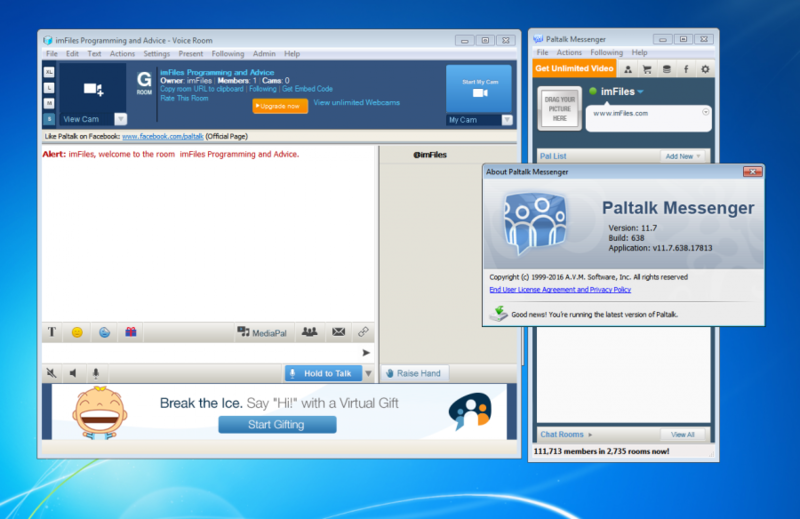 With PalTalk, you can find and connect with over 4M different users all over the web. 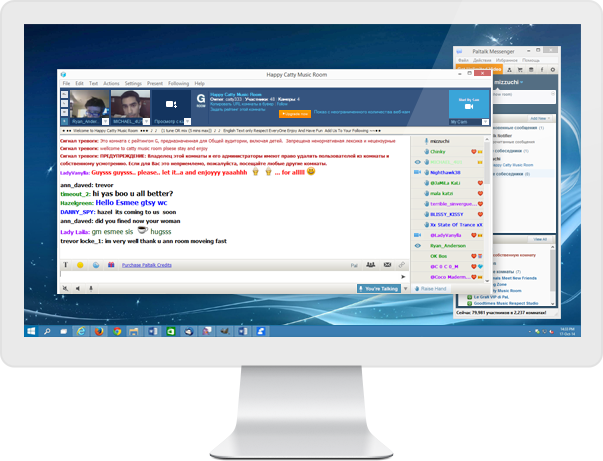 It has over 4000 different video chat rooms. With it, you can connect with friends from Yahoo Messenger, AOL Instant Messenger and ICQ. Discussions can be individual or group. For voice communications, simply have a microphone and a sound card, they can also be done in groups. The user interface is quite friendly. Under the friends list you can view featured chat rooms or create your own. 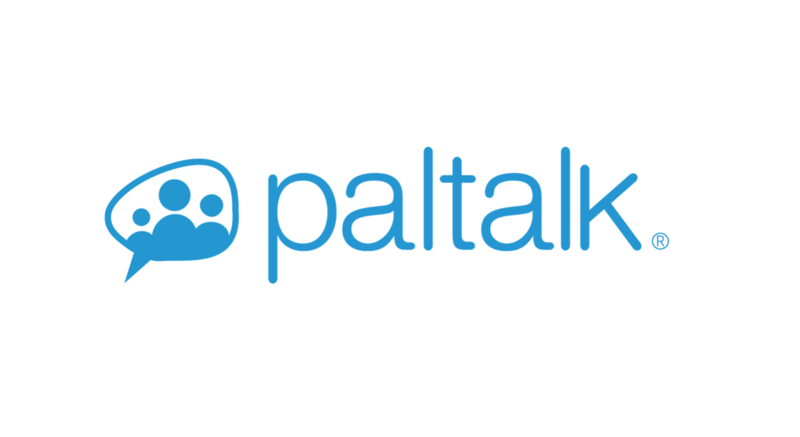 Paltalk is a desktop IM client with support for audio and video chats, and with lots of chat rooms to meet people from all around the world.